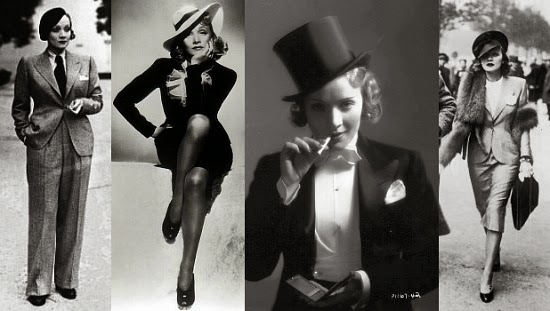 Marlene Dietrich wore menswear-inspired outfits perfectly. Do you remember the late 90's / early 2000's and the menswear-inspired footwear that came along with them shortly after grunge? Fashion is constantly repeating itself, and it appears that menswear-inspired pieces are back in a big way for women. Preppy styles for women tend to lean a bit androgynous anyway, so now is a smart time to invest in a pair of menswear-inspired shoes for preps who have been having a difficult time finding practical footwear recently. And if one's style is not one bit preppy but still leans more masculine, now, now, now is the time to snap up the styles being made for women. The men's version of oxfords, loafers, and fancy wingtips that don't quite fit a woman's foot can be skipped because women's versions are currently in ample supply. Buying a high-quality pair now means one can scoop up a couple pairs today to resole as many times as necessary until these menswear styles come back again... In nearly 20 years or so. I'm obsessed with these even though they are a full departure from my usual feminine style (although they do look cute with a skirt). 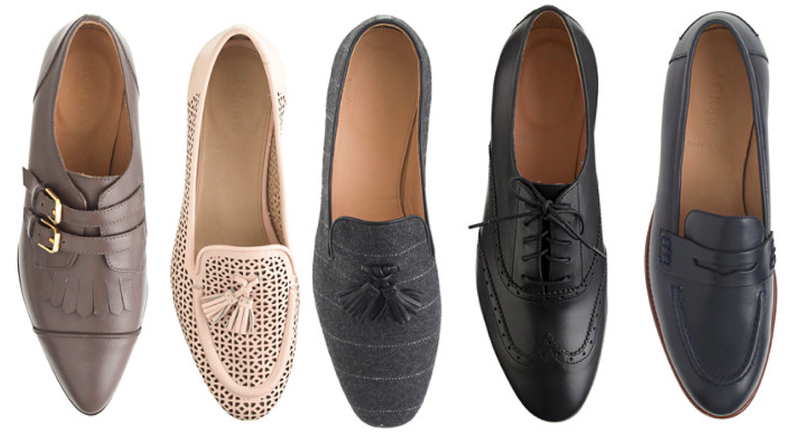 Since these shoes are all 25% off right now with code SHOPFORFALL, now is really the perfect time to scoop up a pair.